Celebrate the Feast of Freedom with Beth Israel Congregation! 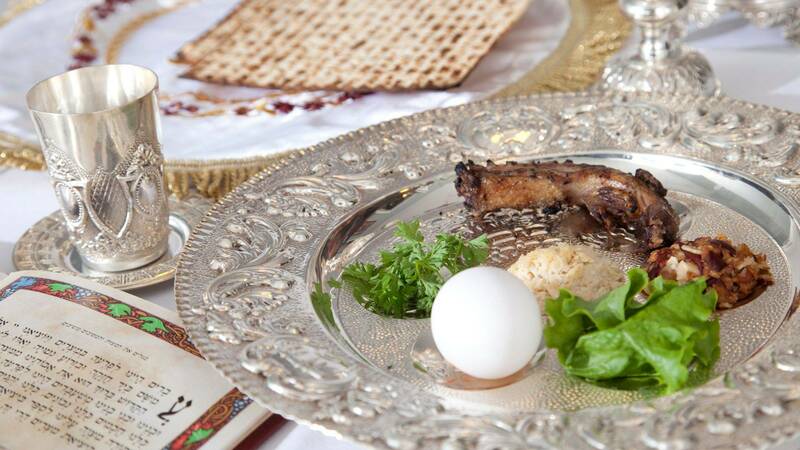 We're bringing back the community seder for the First Night of Passover. Margaret and Michael will be bringing a kosher for Passover feast from Panache Catering out of Allentown. The exact menu is yet to be determined, but will include appetizers, an entree, two vegetables, pickles, matzoh and dessert. Everyone is welcome, including congregation members, friends, and members of the community. There's just one catch — we have to get our order in fast. Panache Catering wants orders in by April 1, though we're trying to get an extension. So don't delay in letting us know if you're coming! PLEASE DON'T SAY YOU'RE COMING AND THEN FAIL TO SEND THE CHECK! We'll have to pay the caterer when we place the order, which means the Tuchmans will be out the money if you cancel. Questions? Email Michael at mftuchman@gmail.com for the fastest response, or call him at (215)237-9555. He can't always answer the phone, but promises to return your call if you leave a message. Price: $40 per person, $15 for children age 6-12, $10 for children 5 and under. However, no one should be alone for Passover. If the price is too much, contact Susan Schwartz, 570-441-2774, nomad6@ptd.net - we have sponsored meals available. RSVP: Fill out form here.